(Reuters Health) – Preliminary studies in rats suggest that Curcumin, a compound found in the curry spice turmeric, may block the progression of multiple sclerosis (MS). According to researcher Dr. Chandramohan Natarajan of Vanderbilt University in Nashville, Tennessee, rats with an MS-like illness showed little or no signs of disease symptoms after being injected with curcumin, while animals without the treatment went on to severe paralysis. 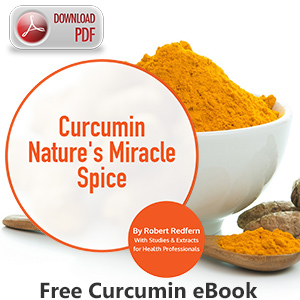 “We got a very good inhibition of the disease by treating with curcumin,” Natarajan told Reuters Health. He presented the findings here Tuesday at the annual Experimental Biology 2002 conference. No one knows what causes multiple sclerosis, in which the body’s immune system attacks the protective myelin sheath surrounding nerve fibers in the brain and spine. Symptoms of multiple sclerosis include muscle weakness and stiffness, balance and coordination problems, numbness and vision disturbances. s. Added to this were studies confirming curcumin as a potent anti-inflammatory agent, effective in wound healing. And just last fall, researchers at the University of California, Los Angeles reported that curcumin appeared to slow the progression of Alzheimer’s in mice. In their 30-day study, Natarajan and co-researcher Dr. John Bright gave injections of 50- and 100-microgram doses of curcumin, three times per week, to a group of mice bred to develop a disease called experimental autoimmune encephalomyelitis (EAE)–an autoimmune condition used by researchers as a model for multiple sclerosis because it also results in the slow erosion of myelin. They then watched the rats for signs of MS-like neurological impairment. By day 15, rats who had not received curcumin developed EAE to such an extent that they displayed complete paralysis of both hind limbs, according to Natarajan. In contrast, rats given the 50-microgram dose of the curry compound showed only minor symptoms, such as a temporarily stiff tail. And rats given the 100-microgram dose appeared completely unimpaired throughout the 30 days of the study. The results didn’t really surprise Natarajan. “In Asian countries, such as India, China, who are eating more spicy foods, more yellow compounds like curcumin…there are only very, very rare reports of MS,” he pointed out. He said the doses the rats received were roughly equivalent in human terms to those found in a typical Indian diet. Just how curcumin might work to thwart the progression of demyelinization remains unclear. But the Nashville researchers believe it may interrupt the production of IL-12, a protein that plays a key role in signaling immune cells to launch their assault on the myelin sheath. Natarajan stressed that “we have to do a lot of work on this,” including examining other potential mechanisms by which curcumin slows EAE and, potentially, MS. The work remains preliminary, and MS patients should follow their doctor’s advice when it comes to treating the disease. Still, Natarajan said adding a little curry to the diet couldn’t hurt. “I think using this spice in their food could be of help,” he said.